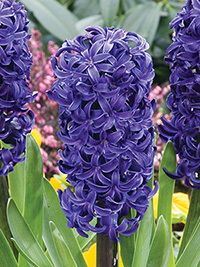 Dark blue-purple hyacinth, the perfect way to add a touch of elegance to your garden. Has a lovely fragrance. Early spring flowering, 25 cm tall.